Liverpool are bracing themselves for a Mohamed Salah exit, as Barcelona have come calling yet again. The Catalan giants, who have prized the likes of Luis Suarez, and more recently Philippe Coutinho from Anfield, are now plotting yet another stunning move for a Kop star. As per reports, 44-goal hero Mohamed Salah is close to securing a Barca switch. The report from El Gol Digital claims that Liverpool and Jurgen Klopp are already planning for life after Salah, and see Ousmane Dembele as the right fit to replace him at Anfield. Dembele only moved to Spain last summer, and is yet to settle in. However, Barcelona already see Salah as an upgrade on the French youngster, and are ready to splash the cash on the Egyptian. It is reported that Barcelona‘s move for Salah comes after the club giving up on landing another French ace in Antoine Griezmann. The Atletico Madrid superstar has been extensively linked with a move to Camp Nou, but a deal is yet to be materialized. However, Barca now see Salah as a better fit for their club next season. While Liverpool continue to insist that Salah is not for sale, Real Madrid are also interested in his services. But his injury in the Champions League final could yet scupper his chances in the World Cup as well as see the UCL winners bow out of a deal. But Barcelona, who spent £134m on Dembele to replace Neymar, are already looking for an upgrade in Salah. And losing out on Griezmann has only made this deal a bigger necessity for the newly crowned La Liga champions. 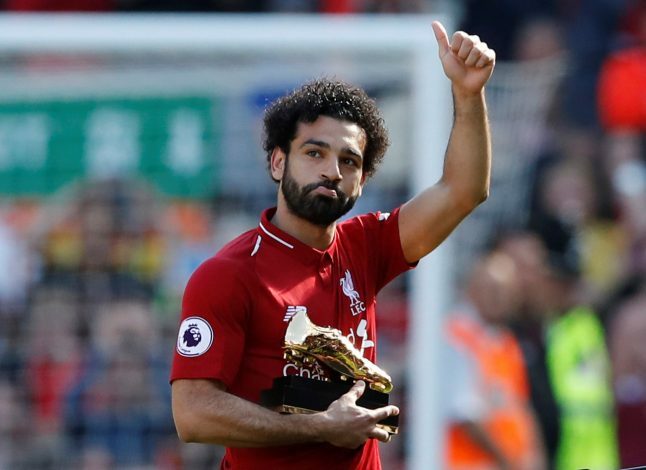 Salah will cost an astronomical fee and will not be easy to lure after just one season in England. But Liverpool have a history of failing to keep their star players at the club, and they could be heading down that path yet again.